All SJV events need volunteers. 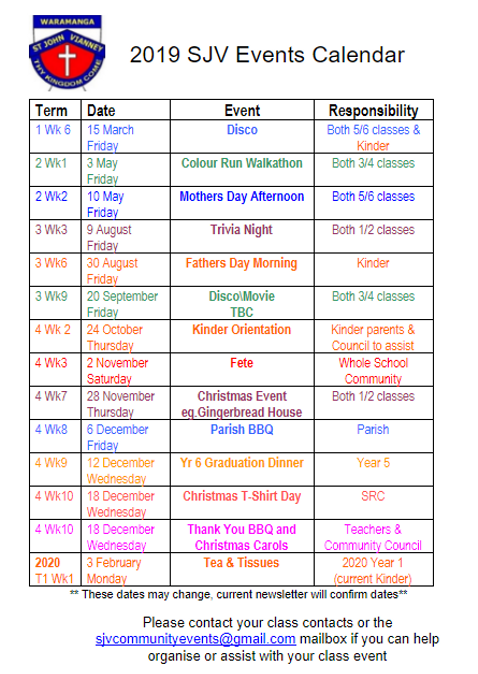 Classes are allocated an event to help. This is a great way to get involved and to help our school, our kids and our community. All events come with notes from previous years to assist you if needed. Please email the Event Focus Group to vounteer or for any addtional information.